Apart from offering effective corrosion protection, VCI packaging should also be straightforward to use, environmentally sustainable, easy to dispose of and economically priced. EXCOR®&apos;s packaging engineers devise solutions accordingly, as well as ensuring that these solutions integrate optimally with the user&apos;s existing processes. Whether to opt for single- or multi-use, interior or exterior packaging, our engineers gear every single one of these solutions precisely to the product at hand, the shipment or storage method, the climatic conditions and how long the packaging will be required for. For both newly developed packaging and packaging from our existing range EXCOR® offers customers some attractive extra services and properties. These include, depending on the substrate used, dyes, customer-specific printing, high transparency, electrostatic discharge (ESD) protection, enhanced fire retardation and defined mechanical strength properties. Most of these properties can be combined. Alongside our standard multi-metal protection systems, EXCOR® also offers VCI systems designed for specific metals. 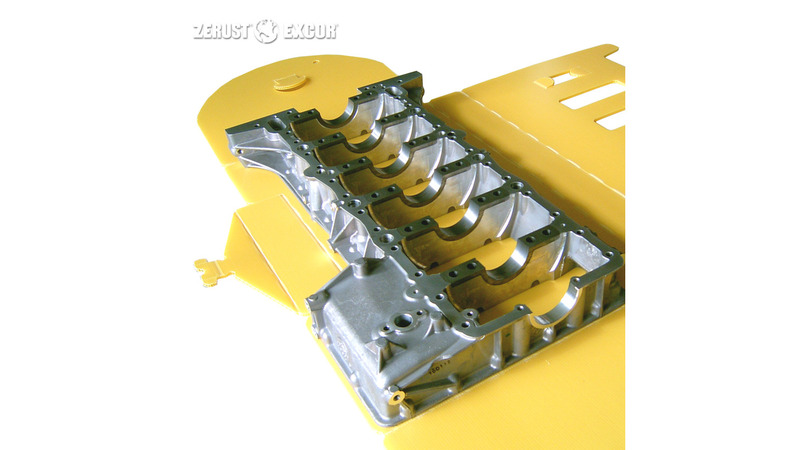 For a given product this enables the efficacy of the VCI corrosion protection to be further enhanced.